Some of my friends will wonder why I am attempting to explain the Sustainable Development Goals because, well, doesn’t everyone already understand them? Other friends will wonder why I’m explaining the value of religious groups, because it’s obvious, right? Well, not everyone understands the value of religious groups, and not everyone has heard of the Sustainable Development Goals – yet the 2 topics go hand-in-hand. The communication programs led by Harper Hill Global are selected based on alignment with the Goals. Also, Harper Hill Global doesn’t just work with The United Methodist Church (although I am UMC clergy), but also with other religious groups interested in working collaboratively to build a better world. So here goes…the value of each, and the way communications can become a link for life. The SDGs represent what humanity and creation need to live in peace and well-being…they show what it takes to help us not just survive, but thrive. What do SDGs have to do with religious groups? For many parts of the world, religion plays a central role in society. At their best, religious groups are organized and understand their communities – their gifts and their needs. 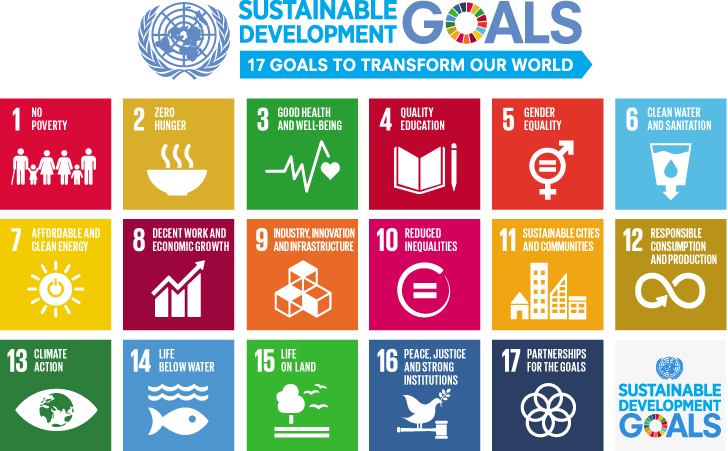 The Sustainable Development Goals provide a common-good platform for those religious groups and non-religious social enterprises to interact and improve lives. How can communications unite religious groups to achieve communal goals? United Methodist bishop John K. Yambasu was leader of the Inter-Religious Task Force on Ebola in Sierra Leone. It included members from indigenous religions, Protestant, Catholic, and Muslim faith traditions. At that time, Bishop Yambasu said they knew all religions would have to come together in their messaging. Otherwise, they would lose the battle. By working together, religious groups were able to ensure good health and well-being (SDG3) for their followers. Harper Hill Global is committed to working with religious groups who strive to achieve SDGs within their communities around the world. We believe that there should be more to unite us than divide us, and that by working together we may achieve even more than what was planned. Congo Women Arise/No Stigma aligns with SDG5. Up next? Homelessness…SDG 1,3,11.